Known as the ‘Paris of the West’, San Francisco is brimming with culture and history. From the Presidio and the Golden Gate Bridge to the towering skyscrapers and historic buildings, there are many reasons to visit San Francisco. Couple this with a booming economy driven by the internet industry, and the U.S. has a must-visit city characterized by a medley of the past, present and future. This popularity has led to an increase in need for buildings in San Francisco; places to stay and find entertainment in and around the city. From hotels and resorts to lounges and arenas, San Francisco boasts a wide variety to choose from. This is made possible through the efforts of contractors that have expertly delivered spaces to welcome every visitor to the city. Here we list the top 15 contractors who can get the job done. C.W. Horton General Contractor is a Hayward-based general contractor especially focused on hotel renovation and construction. Principal Charles W. Horton established this family-run company in 1982, bringing with him more than 50 years of personal experience and four generations of familial experience in the construction industry. C.W. 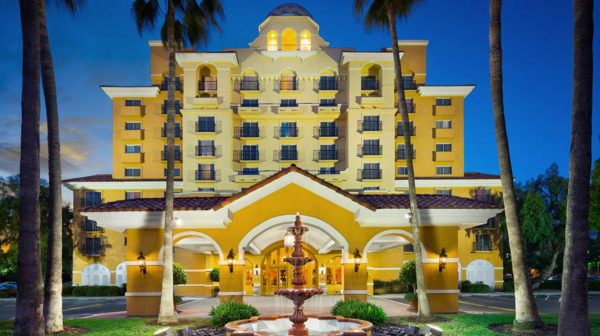 Horton has worked with such prestigious hotel brands as Hilton, Hyatt, and Marriott. C.W. 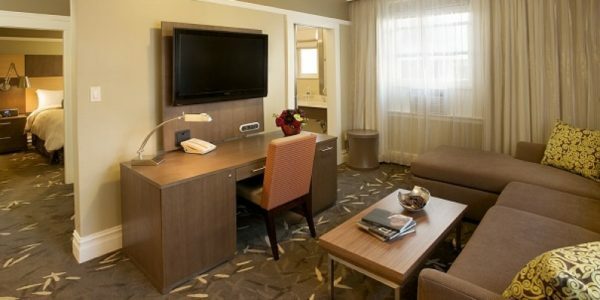 Horton’s latest project is the guestroom renovation of the Marriott Marquis San Francisco at 780 Mission Street. Other hotels recently renovated by the firm include Tower 3 of the Hilton Hotel San Francisco, Residence Inn Milpitas, and Courtyard Marriott Richmond. Founded in 1978, the Encino-based Cannon Constructors, Inc. specializes in restoration-remodel, interior development, new construction, multi-family and medical projects throughout California. Managing principals Larry Pace, John Locascio, Michael Stieger and Michael Adler continue to be actively involved in the daily activities in the field and the offices. In addition to their Encino headquarters, Cannon also has offices in San Diego and San Francisco. Cannon’s most notable hotel project is the Americania Hotel San Francisco at 121 7th Street. The 4-story hotel features 147 rooms, an outdoor swimming pool, a game room, and an on-site gym. Based in Burlingame, Marchetti Group is a family-run designer-builder established in 1969. Founder Joe Marchetti formed the company after working with some of the premier general contractors in the Bay Area. Marchetti’s relative, President Matt Morrone, currently leads the firm. Marchetti boasts a portfolio of diverse projects including seismic retrofits, commercial interiors, historic restorations, medical and dental offices, hospitality, retail, and restaurants. Marchetti recently renovated the Holiday Inn San Francisco-Golden Gateway at 1500 Van Ness Avenue. The project included 500 rooms, 26 floors of corridors, hotel lobby, and restaurant areas. Other recent renovations by Marchetti are the Hyatt Emarcadero Regency Club Level Renovation in San Francisco and The Graduate Hotel in Berkeley, the Hotel G at 386 Geary Street, which involved a full gut renovation resulting in 150 guest rooms, a new lobby, new common areas, and uniquely designed and constructed food and beverage spaces Scarlett Restaurant, Klyde Café and Scarlett Oyster Bar. Commercial Construction and Improvements (CCI) is a San Francisco-based general contractor specializing in, as the name suggests, new construction and remodels in the commercial and related sectors. The company was formed in 1987 by CEO Rich Stevens with a commitment of “delivering a project that is within budget and on schedule.” In addition to hotels, CCI has also worked on office, retail, and restaurant construction. McCarthy Building Companies is a 100% employee-owned general contractor currently headquartered in St. Louis, Missouri, with offices in 15 cities across the country, including San Francisco. The firm started with humble beginnings in 1864 as a lumber business in Ann Arbor, Michigan, building farmhouses and barns. McCarthy now prides itself on its substantial nationwide portfolio in a wide variety of markets including hospitality, healthcare, education, science, commercial, government, renewable energy, and civil. Over the years, the firm has been recognized through numerous awards, including the Society for College and University Planning Jury’s Choice Award, the SFBT & SVBJ Healthiest Employer Awards, the AIA Awards, and the ENR California Best Project Awards. The former Clarion hotel in Millbrae was transformed by McCarthy into the aLoft San Francisco during an extensive abatement, demolition, renovation, and new building construction project. The resulting hotel now offers 253 rooms and 515 parking spaces with new structures including a cast-in-place concrete elevator addition, a steel frame public building, and a steel frame pool building. Established in 1932 as Moore & Roberts, James E Roberts-Obayashi Corporation has been building landmark structures in the Bay Area. During the 1970’s, the company completed numerous joint ventures with the century-old Tokyo-based contractor Obayashi Corporation, leading to a merger in 1978. This long history has lent Roberts-Obayashi its wealth of experience and expertise that would make them one of the most respected builders in Northern California. The firm has been honored with various industry awards as the Gold Nugget Awards and the AIA Honor Awards. Roberts-Obayashi rebuilt the historic International Hotel at 848 Kearny Street. The 15-story residential hotel has 94,662 square feet of accommodations spread over 105 units. Built for the Chinatown Community Development Center and designed by Gordon H. Chong & Partners, the tower replaces the old hotel that was demolished in 1981. Hailing from Silicon Valley, Devcon Construction is a designer-builder and former developer founded in 1976. President Gary Filizetti, who currently leads the company, has helped the firm transition from developer-contractor to designer-builder. The company boasts a long list of projects with LEED Silver, Gold and Platinum certifications, and a staff of more than 50 LEED APs. Headquartered in Milpitas, the firm has offices throughout California and Nevada, and projects in Oregon, Idaho, Texas. The firm has won numerous awards throughout the years, including SVBJ Project Awards, Gold Nugget Merit Awards, the CEA Excellence In Safety Award, and California State Senate Green Building Awards. Engineering News-Record and TechCrunch have featured some of Devcon’s work. Devcon constructed the Holiday Inn Fisherman’s Wharf at 1300 Columbus Avenue in San Francisco. This 4-story high post-tensioned concrete hotel offers 253 rooms and 37,000 square feet of underground parking space. This Kaplan McLaughlin Diaz-designed building has an exterior wall system consisting of plaster and steel. In 1947, brothers Tom, Buck and Dave Plant opened a construction company, that still stands to this day. Plant Construction Company, a San Francisco-based general contractor, is known for its extensive work history filled with complex and iconic projects. The firm is led by a team of Plant veterans, headed by President and CEO Chris Rivielle and General Partner David Plant, the latter being a third-generation member of the family. The company has won numerous awards, including the SFBT Best Rehab/Renovation of the Year, the American Institute of Steel Construction National Architecture and Engineering Award, and the Building Design + Construction Reconstruction Silver Awards. Plant Construction has also been featured in Engineering News-Record, Forbes and Architectural Record. Plant completed the renovation of the 200-room Hotel Palomar, at 12 4th Street as part of the Pacific Place project. The boutique hotel is housed in the upper floors of the historic Pacific Union building, which also contains 100,000 square feet of retail space. The project also included the redevelopment of the 12-story office building adjacent to the hotel. Another recent hotel project was the Presidio Hotel, a 46-room hotel converted from an Army barracks, involving extensive seismic, interior and exterior renovations. Founded in 1911, Hathaway Dinwiddie is a San Francisco-based construction company with offices in Santa Clara and Los Angeles. The firm is currently composed of more than 300 employees, a third of which are LEED Accredited Professionals. The company is particularly experienced in a wide variety of project types that include commercial office, higher education, biopharmaceutical, healthcare, technology, entertainment, finance, and special use facilities. President and CEO Greg Cosko currently lead the company that has been honored with several awards, including the ENR California Contractor of the Year Award and the DBIA National Award of Merit. Currently under construction by Hathaway Dinwiddie is the Marriott SOMA Mission Bay Hotel at 100 Channel Street. The 22-story hotel, when completed in 2020, will boast 250 rooms, a lobby, a restaurant, and rooftop space. Meanwhile, in Oakland, the firm recently completed the renovation of the historic Claremont Spa and Resort, which included a new hotel lobby, restaurant, and 278 guestrooms. Build Group is a San Francisco-based design-builder established in 2007. The firm is focused on projects in multiple building sectors, including residential, commercial, high-end retail, restaurant, hospitality, and institutional. The company currently employs more than 400 professionals throughout California, making it one of the fastest growing private companies in the state. Build Group had been named by Engineering News Record as Top Contractor, Largest Commercial Contractor in the Bay Area, Healthiest Employer, Fastest Growing Private Company and one of the Best Places to work. 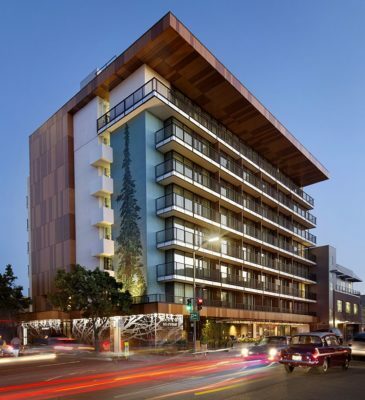 Build Group was responsible for fully refurbishing the Epiphany Hotel in Palo Alto. The 57,000 square-foot hotel features a lobby, a work lounge, a restaurant, a bar, and 86 luxury hotel rooms and suites. In addition to interior renovations, this design-build project included seismic upgrades that took special care of the unusual post-tensioned mat slab originally built in the hotel. Since 1950, Nibbi Brothers has been in the forefront of the construction industry in San Francisco Bay, delivering some of the area’s most technically complex, iconic structures. President Bob Nibbi and Vice President Michael Nibbi currently head this family-owned company, in its third generation starting from the founder Marinio Nibbi. The firm has won some of the most prestigious awards in the industry, including AIA Housing Awards, the Building Industry Conference Board Achievement Award, AIA Design Merit Awards, and the ULI Award of Excellence. Nibbi took charge of the renovation of the Hotel Abri, formerly the Monticello Hotel, at 127 Ellis Street. The 57,982 square-foot project included seismic retrofit for the entire building, reconfiguration, full lobby tenant improvement, and system changes to public spaces and guestrooms. Doster is a nationally-experienced general contractor specializing in commercial, retail, education, healthcare, hospitality, industrial and multifamily construction, headquartered in Birmingham, Alabama with offices in San Francisco. Chairman Thomas Doster founded the company in 1969, and has led the company to currently enjoy a portfolio of over 4,050 projects completed across 30 states. The firm has received numerous accolades over the years, including ABC National Eagle Awards, ABC Accredited Quality Contractor & Safety Awards, and a spot on ENR’s Top 400 Contractors List for 38 years running. Doster constructed two noteworthy hotels for the Embassy Suites within the Bay Area: the Embassy Suites Milpitas and the Embassy Suites San Francisco Airport. The 9-story Embassy Suites Milpitas has 226 suites, an indoor pool and whirlpool, a fitness center and eight events/meeting rooms with over 7,000 square feet of flexible space. The Embassy Suites San Francisco Airport boasts 312 rooms, a pool, an onsite fitness center, a business center, 12,000-square feet of meeting and function space, a lounge and the contemporary Two Fifty Restaurant. In 1888, a young Swedish migrant in Los Angeles formed what would become Swinerton, a San Francisco-headquartered general contractor with 3,500 employees and 15 offices across the country. Proofs to Swinerton’s long history are the company’s California contractor’s license no. 92, which the firm obtained when the state began issuing licenses in 1927, and the extensive amount of buildings now listed in the National Register of Historic Places and other architectural preservation lists. The firm also looks towards the future, as a member of the U.S. Green Building Council, and establishing the Center for Excellence in Project Delivery in 2012 to pursue their commitment to sustainable construction. Swinerton’s efforts have been recognized through a multitude of awards, including the AGC of California Safety Excellence Award, ENR’s CA #1 General Contractor, CEA Award for Excellence in Safety, ENR California Best Project Awards, and the AIA Award of Honor for Excellence in Design and Execution. Swinerton was responsible for building the Orchid Garden Hotel at 466 Bush Street. The 10-story hotel boasts 86 rooms and LEED Gold Certification. Cahill Contractors was established in 1911 by Oakland-born civil engineer John Cahill with a mission to rebuild the San Francisco Area following the 1906 Earthquake. Today, CEO Kathryn Cahill, John’s granddaughter, leads the company with a portfolio that cuts across many markets and construction projects. The firm’s experience, capabilities, and financial strength enable it to pursue and deliver almost any size building project. Amongst its many recognitions, Cahill has received the AIA/HUD Secretary’s Award, and the SFBT Real Estate Deals of the Year Award. A prime example of Cahill’s experience is the Hilton San Francisco Union Square at 333 O’Farrell Street, which was completed in 1988. The project involved the construction of a new 26-story, 370,000 square-foot Tower II, and the rehabilitation of five-story, 96,996 square-foot of the Hilton Plaza. A more recent project is the conversion of the Chinatown Holiday Inn, also originally built by Cahill, into the new 303,000 square-foot Hilton San Francisco Financial District at 750 Kearny Street. The firm also returned to the Hilton Financial District to remodel the Honors Lounge on the 26th floor and the buffet spaces at the first. Webcor Construction is a San Mateo-based general contractor founded by Bill Wilson, Ross Edwards, Dave Boyd, and Miller Ream in 1971 with the goal of delivering projects with unmatched innovation, efficiency, and personal involvement. CEO Jes Pedersen currently leads the company since his promotion in 2012. In 2007, Webcor became the latest acquisition by Obayashi, the same Japanese company that acquired Roberts Obayashi. The firm has received a laundry list of awards through the years, including the ENR California Contractor of the Year Award and Golden Nugget Grand Awards. Webcor is also a proud ISO 9001-certified firm since 2013, the only California-based general contractor to be so. Webcor has been responsible for some of the most significant hotels and other hospitality spaces in the San Francisco Bay area. One is the InterContinental San Francisco at 888 Howard Street. This 32-story LEED Gold-certified tower is equipped with two below-grade levels for parking, 550 rooms and suites, 21 meeting rooms with flexible configurations, a swimming pool, a 12,000 square foot health spa, two ballrooms, and a six-floor podium for a total of 564,614 square feet. Another notable project is the St. Regis Museum Tower Hotel & Residences at 685 Mission Street, which houses 102 luxury condominiums, a 5-star hotel with 269 guest rooms and the newly-restored and fully-integrated Williams Building, which is the home of the new Museum of the African Diaspora. Finally, currently under construction in Millbrae is the Grand Hyatt at San Francisco International Airport, another LEED Gold-certified tower with 351 rooms.